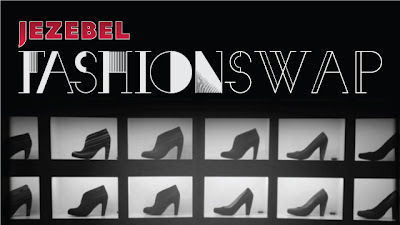 What: Second annual Jezebel.com Fashion Swap Meet! Free drinks, free clothes! When: Thursday, September 15, 2011 6-9 pm. Why: We're not going to let Fashion Week make us hate our closets, nor are we going to let it make us go on a crazed must-get-cuter-clothes shopping spree.Feel Good Bonus: All proceeds and leftover items will be given to Housing Works, our Nolita neighbors who are committed to fighting the AIDS and homelessness crises. Feel Even Better Opportunity: Donate to Housing Works here! How: Everyone is welcome, and everyone wins! See you there.